I’ve made loads of Fish Dishes in the past, 22 at last count, and the Legalize Pottery site has a whole page devoted to Fishes. But so far the fish have been two-dimensional. 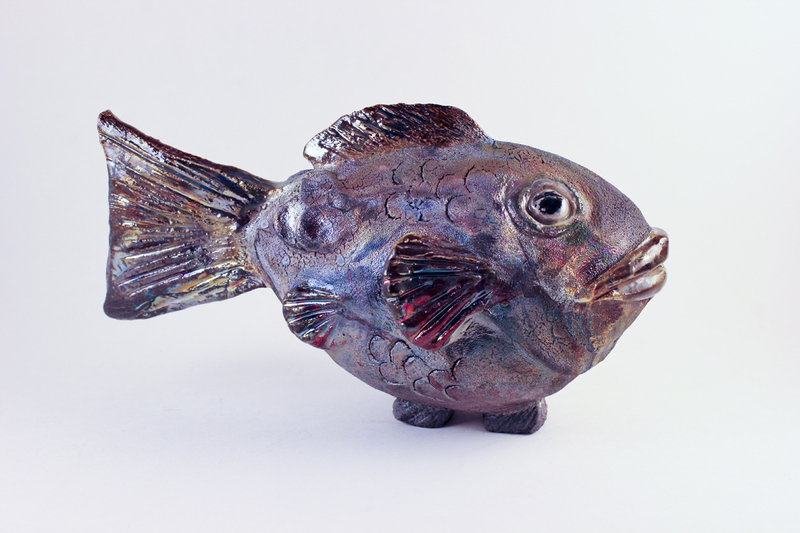 While functional, my Fish Dishes aren’t what fish are all about, so to speak. 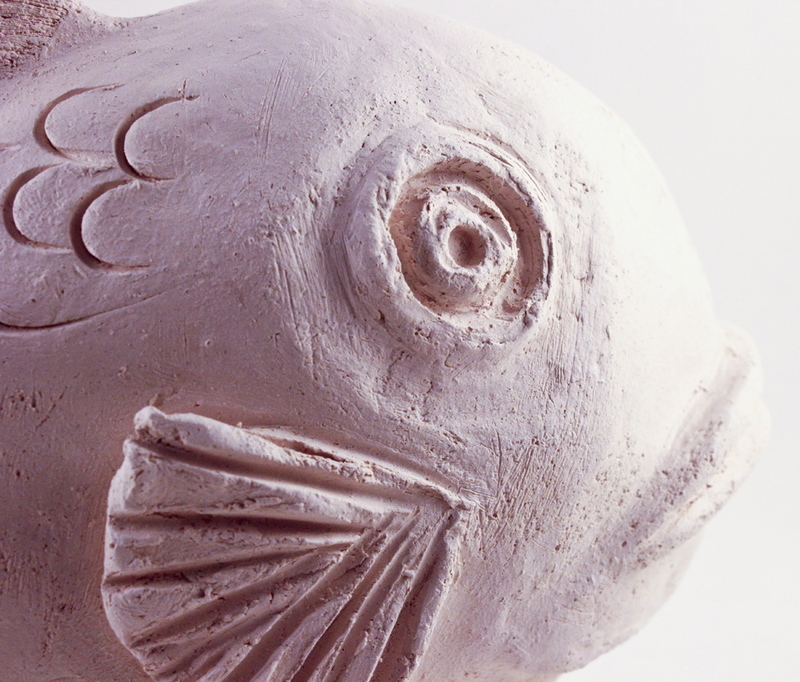 Now I’ve started to make some three-dimensional fish — sculptural, decorative, more fish-like, with a whimsical flair. 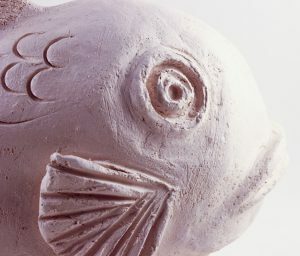 The basic technique is to start with a pinch pot, close up the top, and use a paddle to beat it into shape (no fish were hurt or injured during this process). 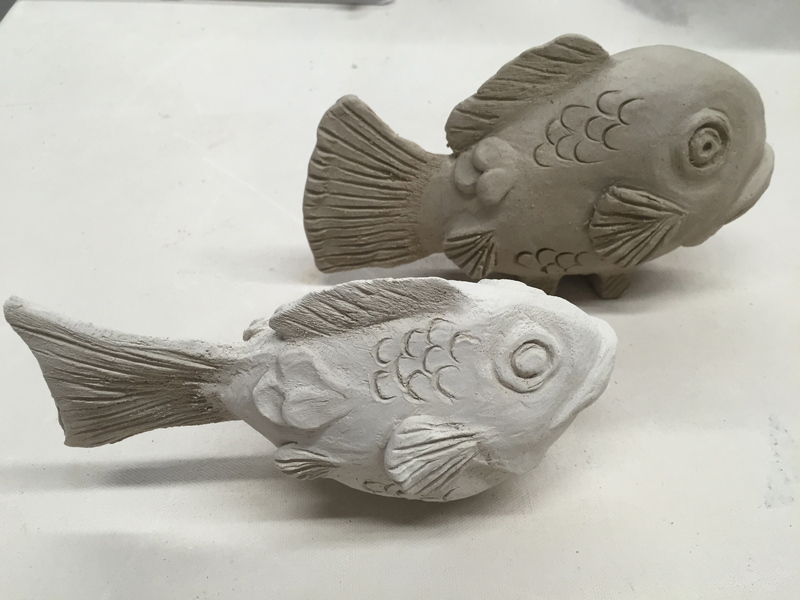 With the time-consuming addition of eyes, lips, tail, fins, scales, the fish is complete. As a bonus, some evolutionary feet were added so the fish can properly stand for viewing. Lastly, the glazes were applied – underglaze for the eyes (covered with clear glaze and a coat of wax), followed by Raku glazes — Matte Blue (body) and Shiny Abalone (accents). 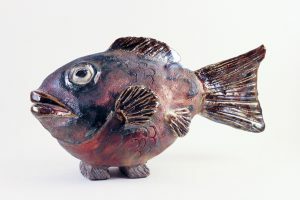 Raku fired in a gas kiln to 1800+ degrees, and cooled in a bucket with sawdust & crumpled newsprint. The first completed sculptured fish ended up with unique coloring which varies on either side.